A family was able to give a unique experience to grandmother for her 80th birthday. 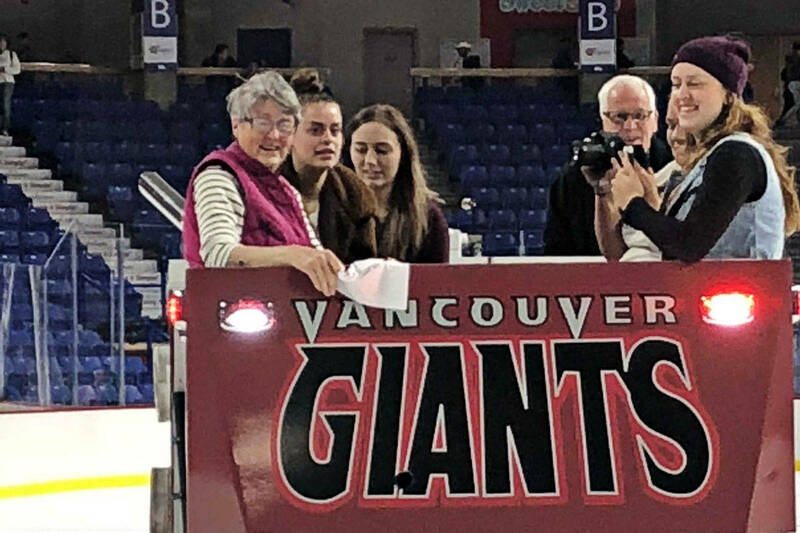 The Langley Events Centre got to help a woman celebrate her 80th birthday in a novel way. 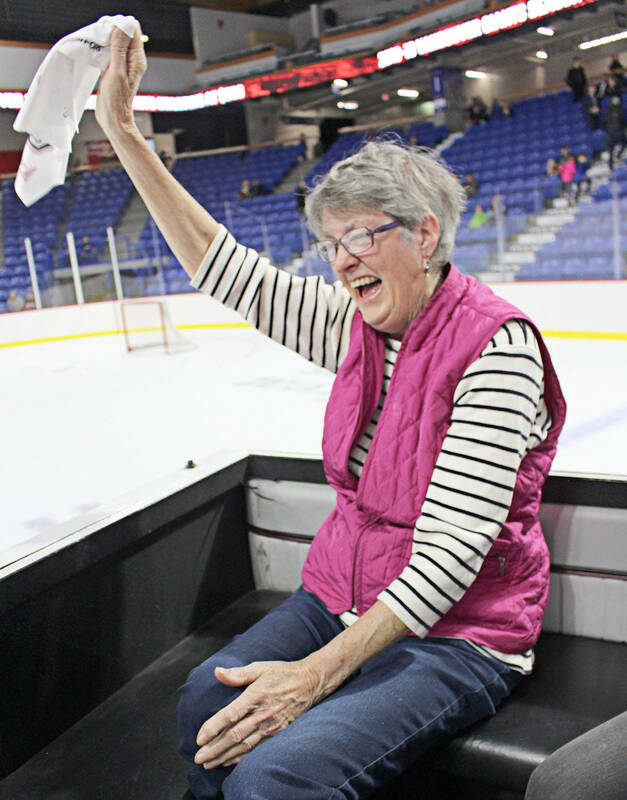 For as long as she can remember, Liz Thunstrom has wanted to ride a Zamboni. “I remember her telling me like 10 years ago that she always wanted to ride a Zamboni,” explained Kaitlyn Williams, who organized the outing. Williams did admit she has no reason why her grandmother wanted this particular wish, but she wasn’t too surprised either. Thunstrom’s birthday was Aug. 28 but the planning took a bit of time. 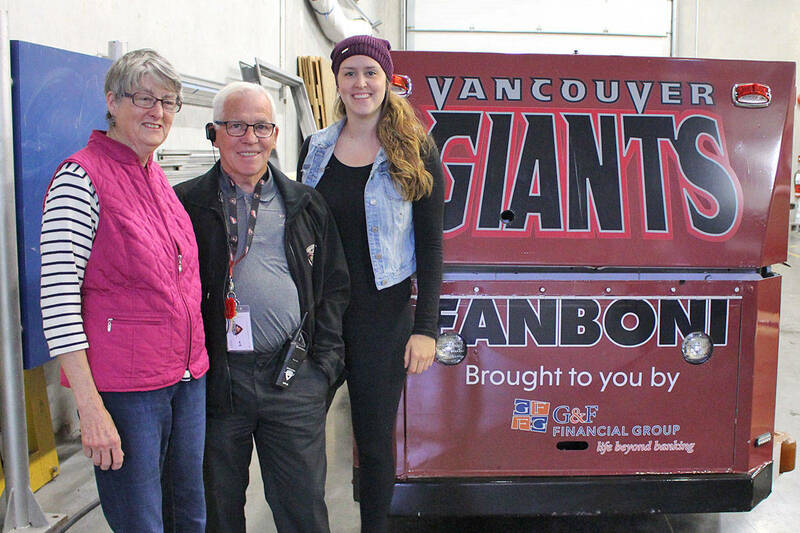 After first attempting to organize this wish locally in Coquitlam, Williams was told to reach out to Langley Events Centre and the Vancouver Giants, who have a Fanboni. The unique vehicle precedes the Zamboni cleaning the ice at intermission, and is specifically designed to take fans for a spin. So last Friday, the family was able to unveil the surprise. All grandma knew was that she was being taken out on Sept. 7 by her family, which included Williams, her sister, Brianna and their parents, Holly and Todd, as well as two of her grandsons, Alex and Ryan Nieuwenhuis, and some other family friends. In total, there were 10 of them in attendance at the Giants pre-season tilt versus the Victoria Royals. Midway through the first period, Thunstrom was escorted to the Fanboni, where the secret was finally revealed. And after taking a spin on the ice and posing for some pictures afterwards, Thunstrom had an ear-to-ear grin.